Cloyd Edralin, right, a green card holder who has lived in the U.S. for 30 years, poses for a picture with his wife, Brandi Davison-Edralin. Edralin was detained by immigration officers Monday morning over an 11-year-old firearm conviction. When Cloyd Edralin was hired full-time as a machinist in late May, he considered the move a minor victory in his fight against methamphetamine addiction, which he developed after his father died in 2005. It was the latest of several milestones for Edralin, a Filipino-born father of four. He was staying sober, volunteering at hospitals that treat drug addiction and spending more time with his wife and four children, ages 11 to 22, said his wife, Brandi Davison-Edralin. The new job meant he could help support his family in their modest Highland Park home, she said. Edralin, 47, who has lived legally in the United States for three decades, was leaving his house to go to work on Monday morning when he was stopped by Immigration and Customs Enforcement officers. They told Edralin, a green card holder, that he was being detained over an 11-year-old firearms conviction, ICE officials confirmed Thursday. "He felt really good that he was back into normal life, that he was bringing in a sizable income that could help his family," says Davison-Edralin, 45, a U.S. citizen, "and he got picked up on his second week of work." "What bothers me more than anything is how ICE appears to be handling it. They are going for the easy pickings," she added, noting that Edralin renewed his green card more than three years ago. "It's like, 'We're deporting criminal immigrants, we're deporting people here illegally,' but they're not going after the ones who most people are concerned with.'" Edralin's arrest is the latest example of how immigration enforcement priorities have shifted under the Trump administration. Former President Barack Obama prioritized violent criminals for deportation, leaving most other other immigrants alone. including those without legal status. President Donald Trump signed an executive order on Jan. 25, 2017, that declared that non-citizens who have been convicted of any criminal offense may be a priority for removal. Since the order went into effect, immigration arrests and deportations have climbed in New Jersey. Edralin isn't the first green card holder to be detained years after a criminal conviction. In January, a Polish doctor who has lived in the United States for 40 years was detained over two 26-year-old misdemeanors, The Washington Post reported. Edralin's arrest came as a shock to Edralin's friends and neighbors in Highland Park. His daughters, Nicole,15, and Michelle,11, play recreational softball. Davison-Edralin coached Michelle's team, the Edison Angels. Edralin would cheer them on at games. The Rev. Seth Kaper-Dale of the Reformed Church of Highland Park, whose daughters play softball with Edralin's daughters, questioned why ICE officers targeted Edralin over an 11-year-old conviction, particularly since he had turned his life around and renewed his green card. Kaper-Dale is holding a rally in support of Edralin at his church on Friday afternoon. "I'm horrified to think this is a country that doesn't recognize when people make changes in their life and then lead a wonderful life with a family," said Kaper-Dale, an immigrant rights advocate in Central New Jersey. "This kind of feels like it's a thoughtless action by ICE." ICE officials did not say what prompted the arrest or elaborate on Edralin's case. If Edralin were deported, he would be sent back to a country where thousands of drug-offenders have died in vigilante campaigns and extra-judicial killings. In October, President Rodrigo Duterte ordered the police to disband anti-drug units and end Operation Double Barrel, the campaign that targeted high-level dealers, USA Today reported. The police estimate that the crackdown led to nearly 3,900 deaths, but human rights groups say thousands more have been killed in the vigilante campaigns. "I don't think it's right for America to send people back to [that]," Kaper-Dale said. "It feels like a really dangerous choice." Edralin came to the United States on a green card in 1988 after his mother, who was living in New Jersey, petitioned for him and his younger sister to join her. Soon after, he started work as a dental technician. He and Davison-Edralin met in 1991 through mutual friends on a trip to Wildwood. She was dating someone else at the time, but Edralin courted her after they broke up. They moved to an apartment in Union together in 1996 after she became pregnant with their son, Matthiu, Davison-Edralin said. They got married in August 1999 in the Philippines and three more children followed: Claudia, Nicole and Michelle. 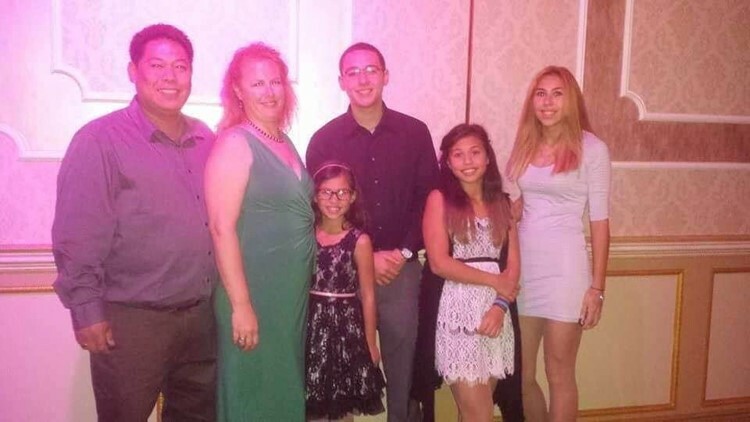 Cloyd Edralin, left, a green card holder who has lived in the U.S. for 30 years, is pictured next to his wife, Brandi Davison-Edralin, and their four children ages 11 to 22. Edralin was detained by immigration officers Monday morning over an 11-year-old firearm conviction. The couple petitioned for a green card for Edralin's father shortly after they married. He left the Philippines to live with Edralin and his family, who had since moved to Edison. Edralin and his father worked together in the same dental office until his father died in 2005. "My husband actually found him. He passed away in his sleep," Davison-Edralin said. "That wrecked him a lot." Months after his father's death, Edralin started using methamphetamines, his wife said. Edralin sought help through therapy, but in he was arrested on drug and firearm possession charges in January 2007. He was convicted of unlawful possession of an airsoft pistol, which fires plastic pellets, and was sentenced to probation, according to the New Jersey criminal court database. Davison-Edralin said her husband also paid several fines. Between the fines and medical bills, the family struggled financially. Davison-Edralin says they lost their house in Edison and moved in with Edralin's mother in Livingston. 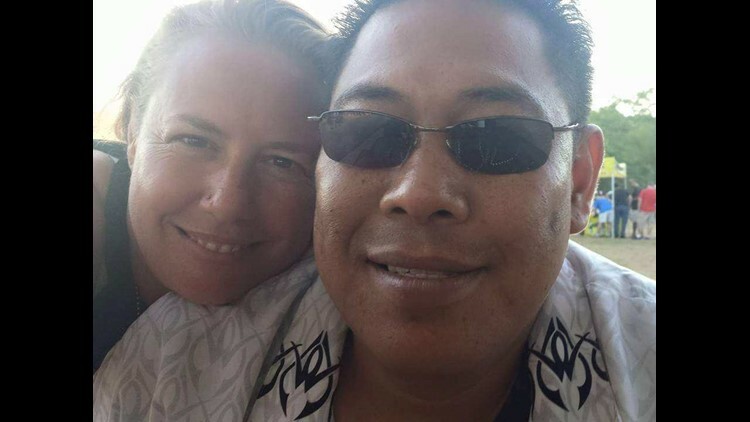 Edralin worked several odd jobs before he and his wife decided he would take time off to focus on his recovery while she worked full-time as a caseworker. He attended Recovery Anonymous meetings and researched self-help techniques, she said. Over the next five years, he started volunteering at local hospitals and rehabilitation institutions, and eventually worked part-time as a deli clerk before starting his latest job. Davison-Edralin said they thought they were in the clear because he had renewed his green card and he was making progress in his recovery, especially after they moved to Highland Park in 2017. "Addiction takes the person you know away from you. For the first time in a long time I've seen my husband again, the man I married," she said. "Even in the face of where he's at now, he's keeping positive."